Um, does this book sound great or what?? but already I'm hooked. I can't wait to check it out!! Ah, but I LOVE mermaid books so much!! And this one sounds really awesome. Do both of these books sound great, or what?? and hopefully I can get to them soon! Oh nice!! Your second pick is particularly GREAT! Lol! Love me a good fairy tale retelling! 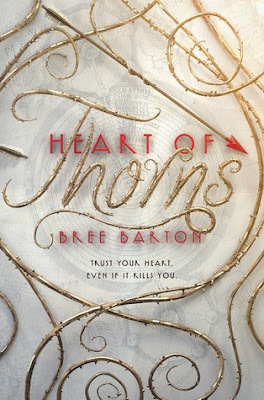 HEART OF THORNS was so so good. I loved it!! It was lyrical and magical and gah! I need book #2! I hope you enjoy it as well! 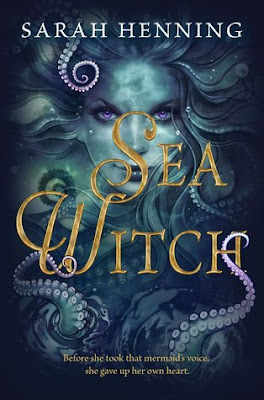 Sea Witch left me a touch disappointed--i don't want to dash your dreams but it's less of a mermaid story and more of a land-maid tale. Great picks! I like the sound of both and they are new to me, so I will have to add them to my TBR list.